Ever since shortly after the Great Chicago Fire burned the city to the ground in 1871, the world’s top architects have set up shop in the windy city. They could start from scratch in those years and designed a new, modern city, complete with the first skyscrapers ever built. From the Rookery Building with it’s Frank Lloyd Wright lobby (a stop on the tour) to the Sears / Willis Tower to the newer and more modern buildings, this city is a museum of architecture and design. Currently under construction at the east end of Wacker Drive is the tall, unique and exciting Wanda Vista Terrace. 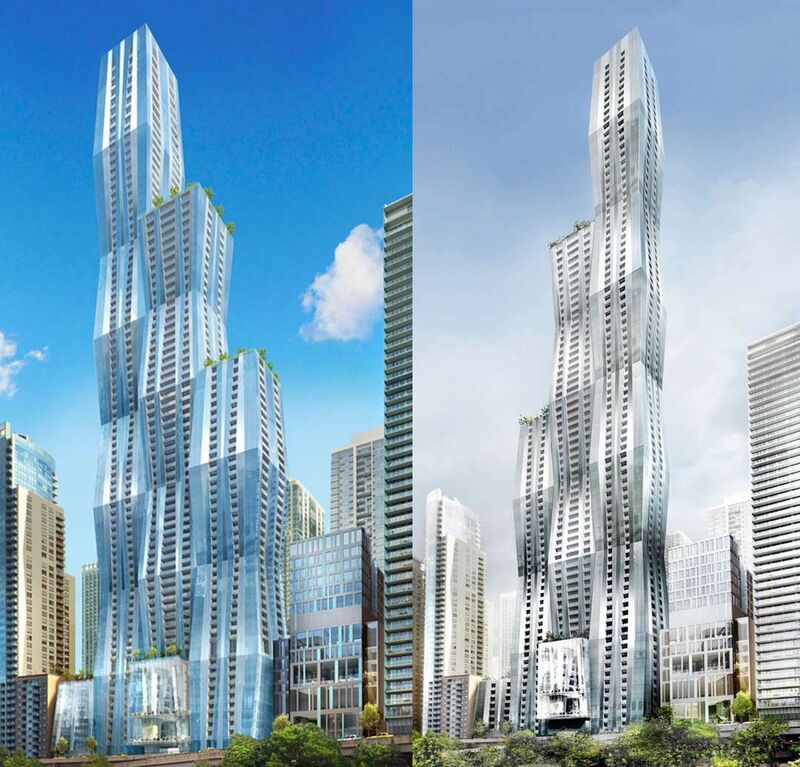 Designed by Chicago’s Jean Gang, it will one day have 93 floors and reach a considerable 1,191 feet into the sky. Ms. 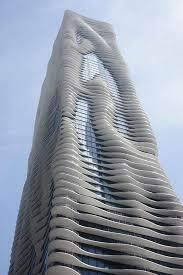 Gang also designed another fun building in the same part of town, The Aqua Building. Lady Gaga lived in The Aqua building for a couple of years, when she was engaged to one of the stars of the TV show Chicago Fire. Ms. Gang runs an all female architectural firm, the only one of it’s kind in the world. On our tours, we’ll show you those and other architectural gems, along with Millennium Park, The Lake and River fronts, Museum Campus, The Gold Coast, Lincoln Park and much much more. So, what’s with the strange little castles on the Magnificent Mile? It’s a very windy day in the windy city. But…. 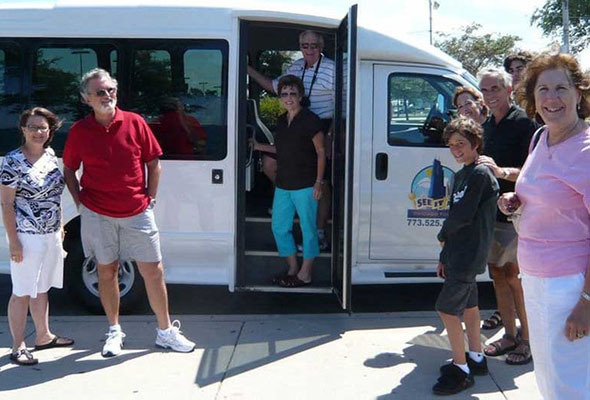 For Chicago sightseeing tour reservations call: 773-525-6152. You can also email us by filling out the form below.